Holybourne toddler group, Teddies, has set up base in The Lawn care home in the village. Due to refurbishment of their usual venue, the Church of Holy Rood, the group of children, aged up to five, had to find somewhere else to hold their weekly get-togethers. The Lawn, run by charity Friends of the Elderly, was really keen to offer its communal space to host Teddies. Each Thursday morning, the group sets up in the home’s dining room with toys where they enjoy playing, nursery rhymes, craft activities and listening to bible stories. The parents have the opportunity to catch up over hot drinks for the morning, whilst the children play with one another. 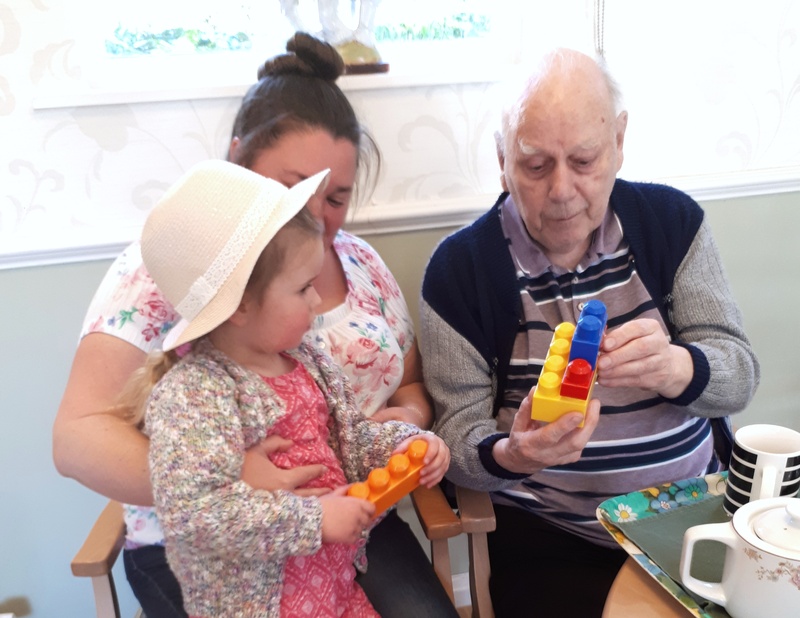 Residents of The Lawn have also been really pleased to join the group and many sit watching the children play and speak with the parents and children. To find out more about The Lawn, click here.